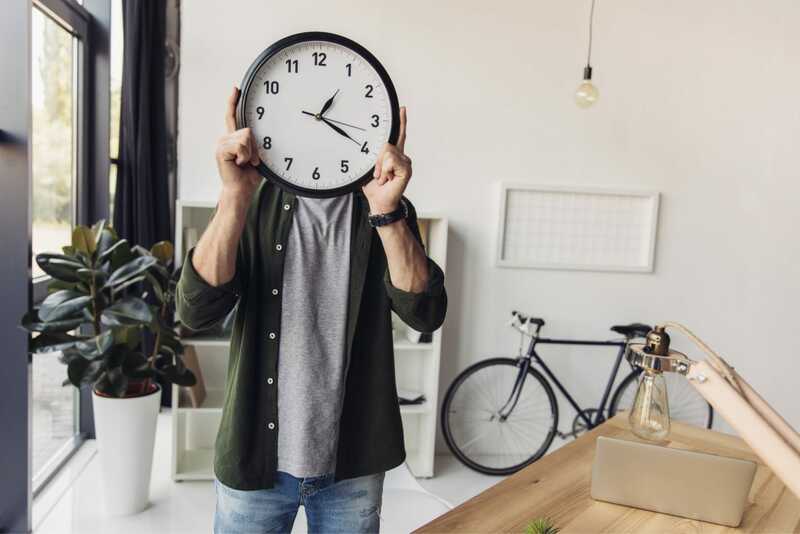 In recent years content length has been fiercely debated, with many SEO gurus telling their followers that they must create extremely long posts if they want to succeed. 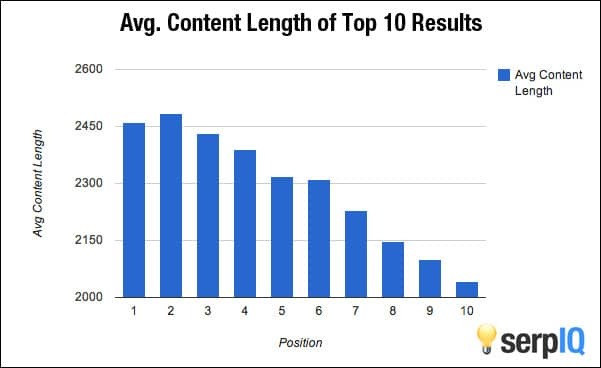 While there is certainly good evidence that content length correlates to rankings, it’s not the most important factor. The reason for this is because the content length is often inversely correlated to content quality. When you’re prioritizing length, you will naturally reduce the value of each word, saying something in 1,000 words instead of 300 because you want to rank higher. Doing this might increase your rankings in the short term, but it’s completely adverse to what Google wants, and eventually, the algorithm will adjust to compensate. After all, they want to serve value to searchers, not the pages which have the most words. In many cases, people are looking for concise and valuable content rather than long explanations. Therefore, while word count is obviously correlated to high rankings, there are at least five other factors that are much more important that you should also consider. Firstly, the goal of your content more than anything else should be to provide value to your readers. If you can’t achieve this simple goal, then it’s unlikely that people will share or link to your page and that is going to make it more difficult for you to rank for competitive search terms. Even if you do manage to get people onto your page, they are unlikely to convert into paying customers if your content isn’t valuable. In fact, if your page is full of fluff because you’re trying to reach an arbitrary word count it’s likely that they will leave your site with a bad taste in their mouth, never wanting to return. If you want to provide value to your readers so that they can become paying customers, you must prioritize quality over quantity. Not doing so is a quick way to ruin your brand’s reputation and leave readers thinkings that your brand doesn’t care about quality. Why Are They Reading Your Content? To provide value to your readers, you must first understand why it is that they would read the article that you’re creating. Without understanding the problem that the reader is trying to solve it’s difficult for you to provide value correctly. Value comes in many different forms; a reader might be looking for advice, entertainment, instructions, humor or another of the many different forms of value. Recognizing what your readers come to you for is vital to crafting your content in a way that provides that value. For example; if you are creating a post about how to install a drain pipe it’s likely that the reader will be searching for detailed instructions. The searcher probably has little to no experience, and therefore your instructions must be detailed and very fine, not skipping over details that more experienced people would find intuitive. Understanding the ‘searchers intent’ is vital to providing value. Now that you know what they are looking for you must create a page that transfers that value in the best way, in many cases this will not be by writing a huge article that is longer than the competitors. Yes. I’ve read the studies. I know the correlations. Long-form content, on average, earns more engagement, higher rankings, and more shares than their more concise brethren. But, that does not make long-form content the same as great content. It does not make long-form content the goal of every content effort. It certainly does not mean that longer content is better content. In this day and age, it’s not good enough to force your users to read your content; you must offer alternative forms of content like graphics, videos, and an audio experience. The reason for this is because reading often isn’t the best way for you to present your content, especially if you’re trying to explain something visual or complicated. Let’s look at an example; you could be creating a guide which explains to your customers how they can repair their lawn mower. Of course, it would be possible to explain this just using words, but this is far less valuable to your customers than images or videos. For this reason, most instruction manuals now come with images in them, and many companies have detailed videos on their website or YouTube channels. Both of these options are far superior to words, and this is why content length is arguably not very important. Your page might only have a hundred words on, but it might be accompanied by multiple images and an incredible video that provides immense value to your readers. As well as this, studies have shown that pages with images on them tend to rank better. Plus, people are more likely to link to websites that have detailed videos and graphics on them instead of plain text. The reason for this is because words are inferior in many cases to videos and they are less immersive and impressive. Obviously, the cost of creating a high-quality video is usually higher than the cost of writing an article, this can be prohibitive to some websites, but it’s also a great opportunity. With many of your competitors failing to take advantage of video content the benefit for you is far superior. Plus, by creating video content, you can upload it to other platforms like Vimeo and YouTube. Doing this gives you access to another marketing channel whereby you can find more customers and increase your revenue. Content length isn’t everything, and it’s certainly not more important than adding visual elements that enhance your page. While you could make a good argument that proper grammar is encompassed by ‘valuable content,’ it’s so vital that it deserves its section. If your grammar is poor, then both Google and your visitors are going to notice. Some research suggests that Google’s algorithm can distinguish between content that is well written and pages that have poor grammar. If they don’t already then, it’s incredibly likely that they will use good grammar as a ranking factor in the future. The reason for this is simple; users want to read content that is well written and that’s the reason you can’t skip proofreading of your content. As a user, if you arrive on a page with poor grammar and spelling you are likely to click back and try to find another page to visit. Users do this because it’s extraordinarily difficult to read a page that is poorly written. 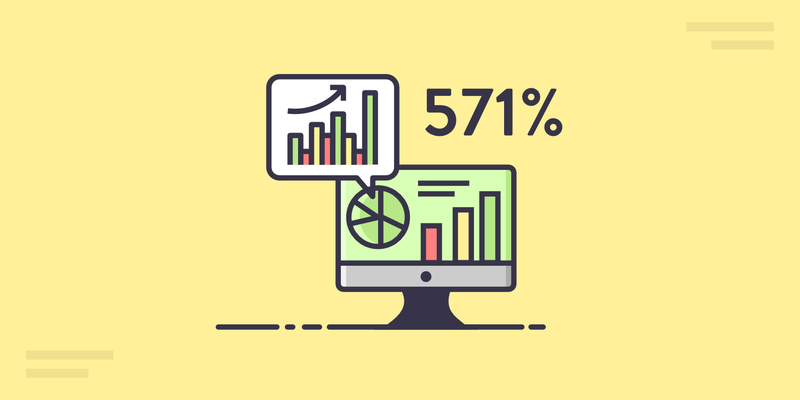 These users who click back are obviously not going to become your customers, but even those that do stay on your page are far less likely to convert. After all, if you have spelling mistakes and grammar mistakes in your content, then your readers are going to associate your brand with low quality and poor standards. In fact, Globo Lingo’s researchers found that 59 percent of its participants would be less likely to use a service or product if there were obvious grammatical or spelling mistakes on its website or marketing materials. With this association in their minds, it’s far less likely that they will convert into paying customers, no matter how good your sales pages are or how helpful your products can be. Check out these 30 common grammatical errors we all need to stop making. And take a look at these free grammar checker tools if you need some help. If you’re going to the effort of creating a fantastic piece of content for your readers to enjoy it’s smart to ensure that it’s optimized properly for valuable keywords. Doing this will make it far more likely that you will rank for keywords that people search for regularly, bringing in passive traffic from Google, Yahoo, and Bing. Kinsta was able to increase their organic traffic by 571% in 13 months by following simple SEO tips. While no business should rely exclusively on SEO traffic for revenue, it would be silly to ignore such a targeted source of traffic that can be tapped into. Instead, by researching the keywords that people are searching for you can optimize your posts so that they rank higher in terms related to the posts that you are writing. Before you can optimize your articles, you need to figure out which keywords people are searching for, which can be easier said than done. Fortunately, tools like Ahrefs Keyword Explorer make it much more straightforward. With a keyword research, you can input a seed keyword and find other search terms that are related. The key to this study is to find terms that have high search volume but that aren’t competitive, these are the terms that you are most likely to rank for, but that also have a worthwhile number of monthly searches. But just taking keywords at face value isn’t enough, this is the mistake that many beginners make when they first start doing keyword research. In fact, the intent of the searcher is perhaps the most important factor when you’re deciding which keywords you should be targeting. After all, traffic that doesn’t convert is useless, and that’s why it’s vital that you take a few moments to consider who would be searching for these terms and why. Doing so can give you more insight into these people, whether they are likely to buy from you and if they are ready to buy or still need more convincing. 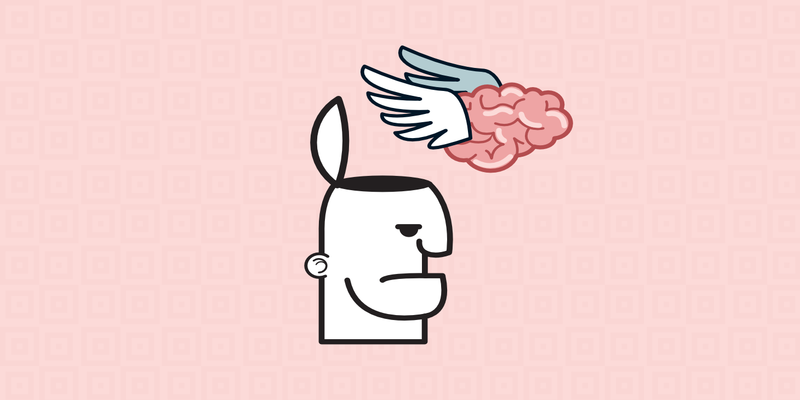 These factors are crucial, especially if you’re trying to sell people on high ticket items. For example; somebody looking to buy a car is likely to need more convincing and detailed information than a person searching for a cheap gadget. Now that you have figured out the ideal keywords to target you must optimize your page for them effectively while avoiding an over optimization penalty. Firstly, it’s always wise to write as a natural as possible rather than focus on keyword optimization because this will result in the highest quality content. However, staying at a low keyword density between 0.2% – 0.4% is good to advise. At this level, you can encourage Google to rank you for keywords, but you don’t appear as if you’re trying to manipulate their algorithm. To learn more take a look at this post where we share more about our favorite WordPress SEO tools. The most valuable locations for your keywords are in your title and header tags because Google appears to put more weight on the words that are in these tags. Therefore, it’s wise to use your keyword in your title when possible. Instead of worrying excessively about the length of your content you should ensure that you are providing value to your readers and are not wasting their time. Perhaps the biggest reason why focusing on your content length is that it will encourage you to write longer articles than you need to. Doing this shows your readers that you don’t value their time and would prefer to increase your rankings rather than caring about your customers. Everybody is busy in this day and age, people want quick answers to their questions, and they certainly don’t want to have to read a long article to figure out something relatively simple. 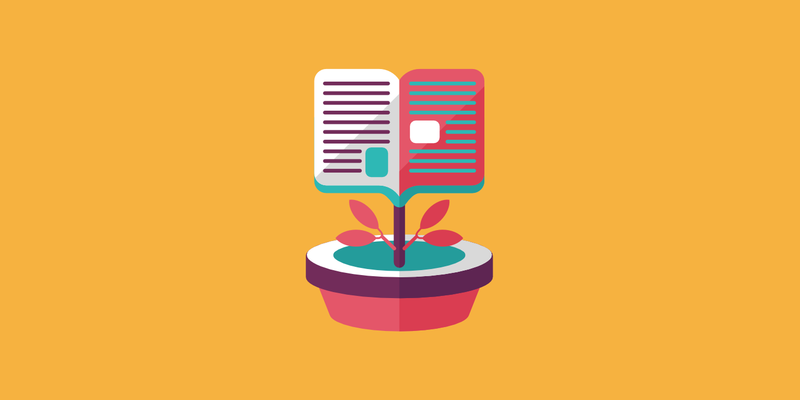 Your goal should be to provide value to your readers in the most efficient way. In many cases, this will mean that your articles will be only a few hundred words, but often the quickest read could still be many thousands of words. But the key is that you must differentiate between the questions that people are asking, figuring out when they want a quick answer and when they need a more detailed article. Doing this will ensure that you value your readers time and still provide them with everything that they were looking for. If in doubt you should put yourself in your reader’s shoes, search for the queries that they would use on Google and see what other websites have published. Did they drag on or were they too brief? This research is incredibly beneficial because it not only allows you to find a gap in the market but also to identify how best you can provide value to your audience. Should You Care About Word Count? After reading this article, you might be asking yourself whether you should care about your word count or not. It can be confusing, you want to focus on these five things that are incredibly important, but you also want to rank, and studies have shown that long article tends to rank higher. The answer is to re-prioritize, looking at word count as an afterthought before publishing rather than while you are writing your article. Doing this will help to prevent you from writing excessively long articles, allowing you to focus on simply providing the most value possible to your readers. Instead, you can use word count as a guide for how much marketing and link building you will need to do to rank an article. But by forgetting about word count, you can create articles that provide a better user experience, the by-product being that this makes link building and marketing far easier.